Ok so I know i’ve just put something up but I just had this for dinner and, well it couldn’t wait. It was well tasty. This recipe does involve a bit of kitchen piracy but I’m sure you’ll manage. 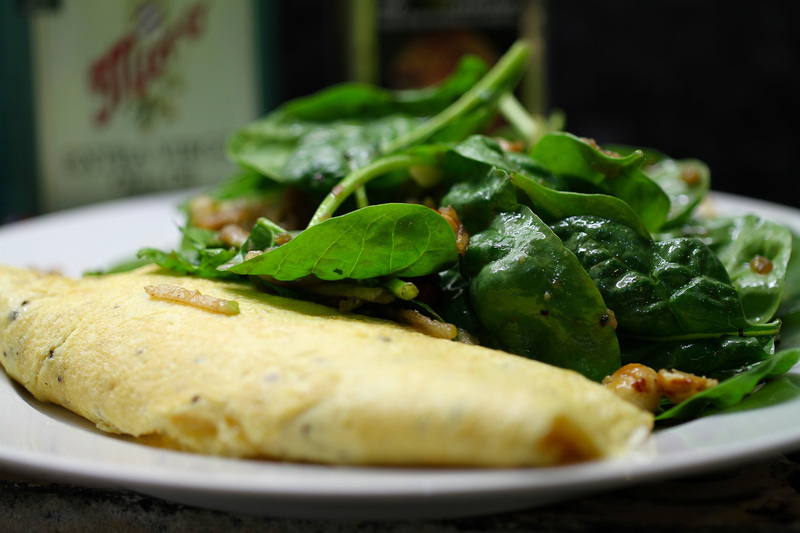 Really simple cheese omelette with a nice spinach Waldorf salad kind of thing I think. My flatmate made an awesome looking salad and left some in the fridge….cue evil laugh. Stick on your Pirate’s Hat grab a parrot and get in there! Free range eggs – if you use cage eggs I will hunt you down, lock you in a cage so you can barely move and deprive you of light then see how you feel about the whole cage egg thing. stolen salad from your flat mate. 2. now in a bowl. crack 4 eggs. Grab a fork and peel the clove of garlic. Poke the fork in the clove a few times then stick the garlic on the end of the fork and whisk the egg with it. Season the egg with salt and pepper. 3. Heat up your frying pan. Add a knob of butter. Let it melt so it’s sizzling a bit and tilt the pan so the butter covers all the pan then add the egg. Mix the egg up for 20 seconds or so. You almost want to scramble the egg slightly. Now tilt the pan around so the egg is all covering the pan then leave it to cook off and set a bit. Grate a load of parmesan on it then after about 3 mins or so using a spatula loosen off the edges then try and fold the omelette in half then slip it onto your plate. (This is the tricky bit) Ill still mess this up sometimes and it usually ruins my day when I do so just persist and you’ll get the knack eventually. 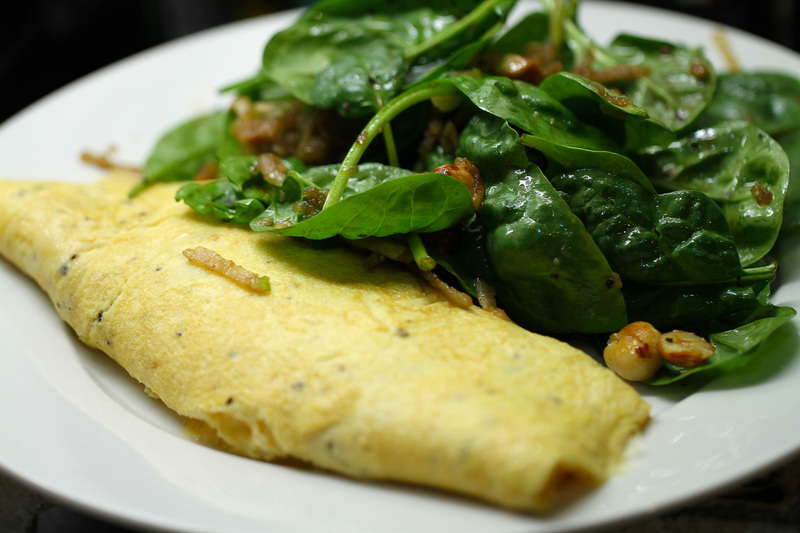 You want the omelette slightly gooey and runny in the middle. If you don’t like it like this either man up or cook it a bit longer. 4. Serve on a plate with the salad. I added a bit of balsamic, extra virgin olive oil, salt and pepper to make a little dressing. I think it already had some lemon juice on it so if you’re doing this from scratch and not stealing your flat mates salad then add a good squeeze of lemon to the dressing. If you want to roast some cherry tomatoes on high in the oven for 5 mins and serve with everything then that would be pretty sweet too.